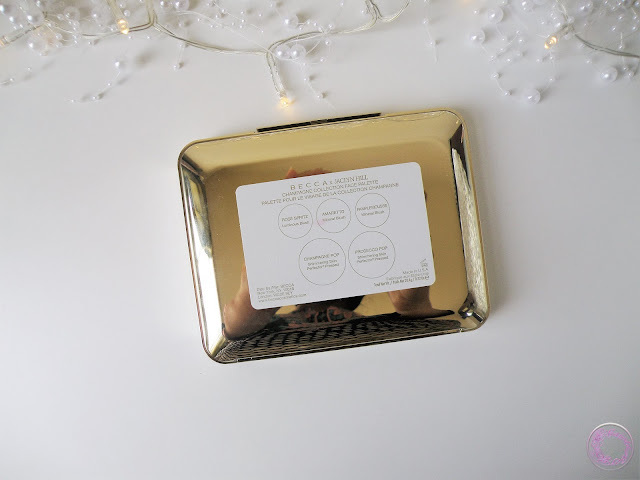 After playing with my Becca Champagne Collection Face palette for a couple of weeks, I am finally ready to document my experience. 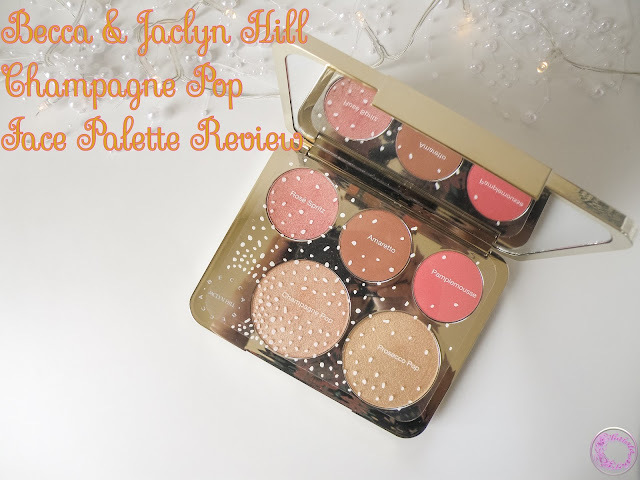 Jaclyn Hill collaborated with Becca to create a series of products following the famous Champagne pop highlighter. This particular palette is one of them and is limited edition item. It was sold out immediately on Sephora website. I pre-ordered the palette with Space.NK at the start of June. It was very first time for me to pre-ordered any item, so it was nerve wrecking. Right before the release of this palette I was planning to buy the Champagne Pop highlighter but when saw this palette and I worked out the value per product, this palette was good value for money. And as it was Becca, I could trust the brand. Somewhere between the day I ordered this palette and the day I received it, a scandal of Champagne eye palette emerged and Becca had to recall the eye palette and refunded to all their customers. It increased my anxiety because I paid a good amount for this palette. But it was worth waiting for. 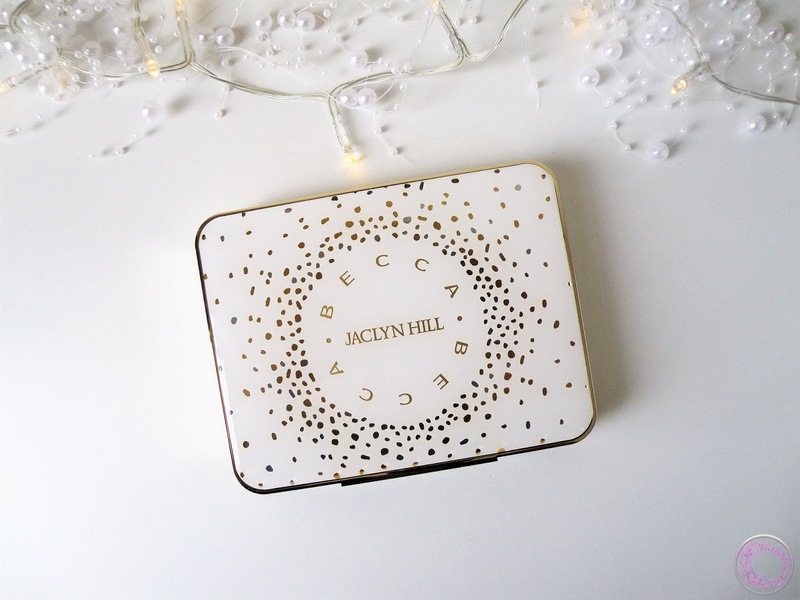 I don’t own any Becca face item other than Champagne face palette, that’s why I can’t compare it with any other Becca product. All the thoughts and opinion are based on my personal experience and how the products worked for me. Without further ado let’s jump to the review. Becca Champagne Collection Face Palette contains two highlighters, Champagne Pop and limited edition Prosecco Pop, three limited edition blushes, a luminous blush Rose Spritz, two matte mineral blushes, Ameratto and Pamplemousse. The casing is very sturdy and weighty. The lid closes tight and secure the product. Both highlighters and all the three blushes are rich and highly pigmented. A little goes a very long way. 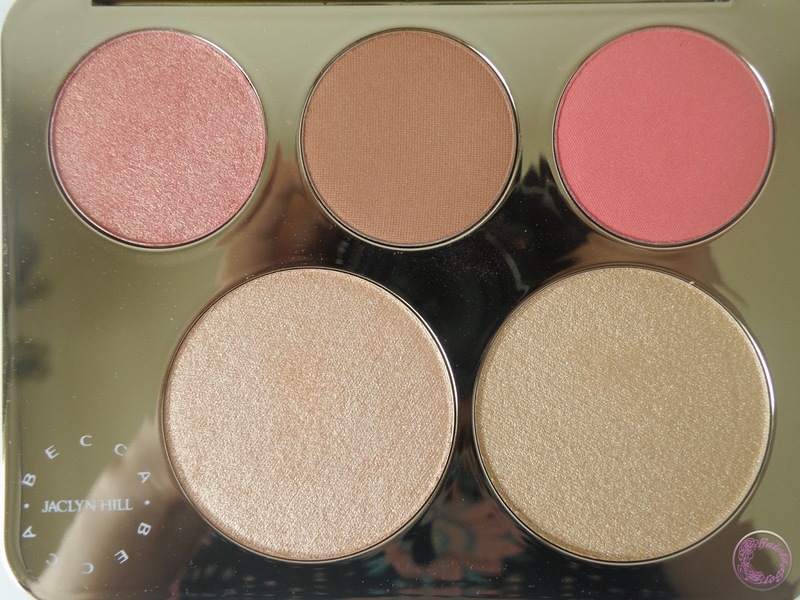 On my UD Gwen Stefani palette review post, many of my readers commented that they preferred very pigmented blushes. This palette is definitely for you lot then. Blushes and highlighters blend very easily and go on skin smoothly without skipping or patchiness. The shades can be mixed and matched for customise look or can be used on its own. All the products are suitable for all skin tones. However, I think this whole palette was design keeping medium to very deep skin colour in mind which is nice. But fair skin fellows need to go very lighter hand with it as all products are highly pigmented. If you are naturally tanned or fake tanned, any product from this palette will enhance your tan. Champagne pop is soft gold with pinky peach undertone highlighter. It is the most intense highlighter I ever own. And tbh I don’t own many highlighters. I like things to be very subtle on my face so it is definitely something out of my comfort zone. I use small fluffy eyeshadow blending brush for precise application and for picking the smallest possible amount of product. Prosecco Pop is true gold colour highlighter. When I first applied it I didn’t like the colour much but once it blended well, it gave a very nice golden shine. I personally like a bit pink-y undertone highlighter but it will look beautiful on deeper skin tone. For me, it is a special occasion highlighter. Rose Spritz is probably my favourite blush in the palette. 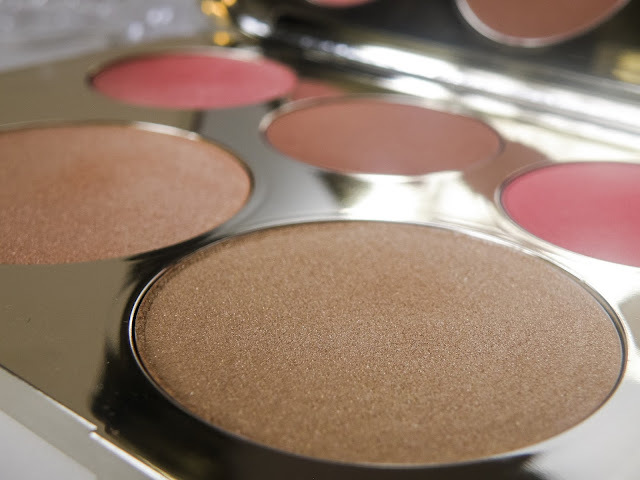 It is very intense bright pink blush with golden shimmer. The sheen of gold shimmer can overcome the pink shade in certain lightings but this is definitely a very glamours shade. Ameratto is medium brown shade, called by Becca a toasted almond shade, which looks matte but have sparsely placed tiny golden particles. But these particles don’t show up on the skin when applied. 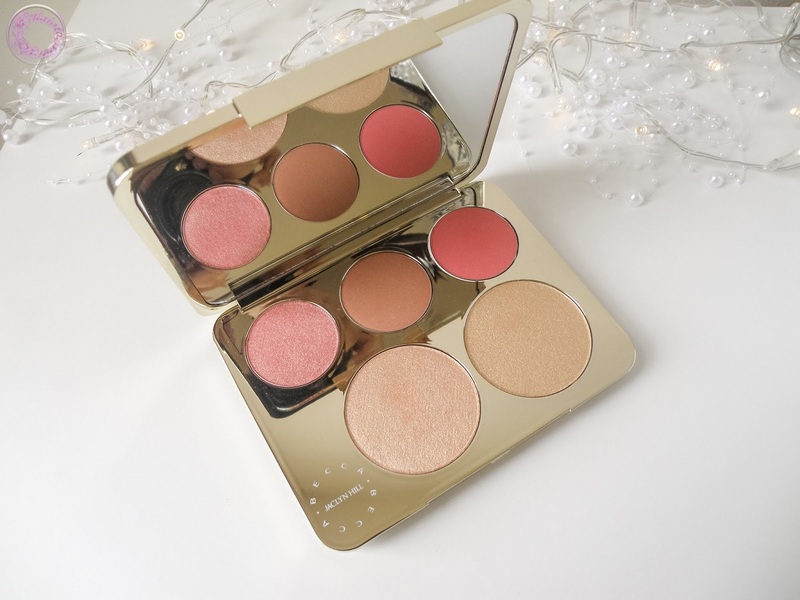 I love this blush in combination with very well blended champagne pop on cheekbones. It can be my go to look I believe. Pamplemousse is another very bright slightly darker then medium pink shade. It is said to be matte but it is more of satin finish. However, it looks more matte on the skin. If you want to see how all these shades looked on me, head over to my Instagram for photo. Overall I am really enjoying my palette. All the blushes and highlighters are very intense. The palette is good value for money. All products are of decent size and being super pigmented you only need tiny bit of product. I will definitely recommend this palette to everyone. 1. - The placement of products is a bit odd. Highlighters are not perfectly aligned with blushes. A lot of space is kind of wasted at one side of the palette. I think that could be used for either another product or may be a brush or something. You may not feel it odd but a person like me who has a strong OCD, it is a bit pain to look at. 2. 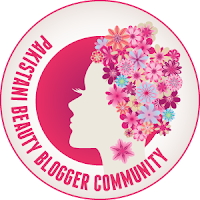 - All products are slightly powdery so there is some wastage. When I first applied Ameratto, a cloud of dust emerged from the brush. It annoys me because the product goes everywhere over pan. I will recommend to slightly dip you brush in products other than swiping it. And never forget to shake the access product off the brush. Although it is sold out in most places but Becca is trying very hard to make everyone who wants it, gets it. So keep an eye on Becca social media channels to get updates that when and where this palette will be available. Apparently all three blushes and prosecco pop highlighter are limited edition to this palette. 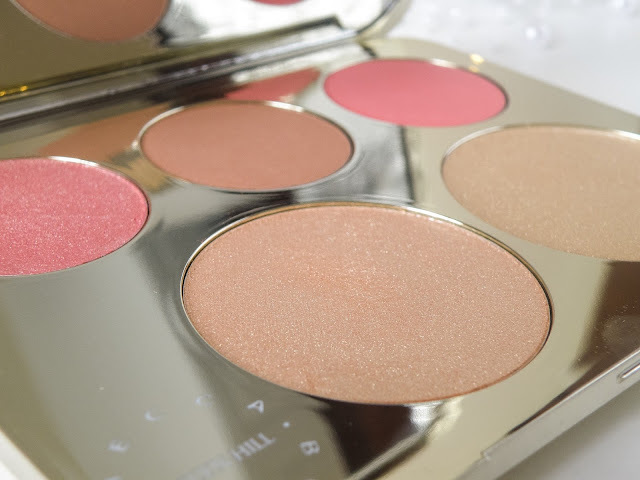 But Becca has recently revealed new products where one limited edition blush from this palette and one highlighter are set together in one compact. If you couldn’t manage to get this palette, then do check out those new compact. The packaging of those compacts are to die for. Great, go for it. It is lovely though. I agree. 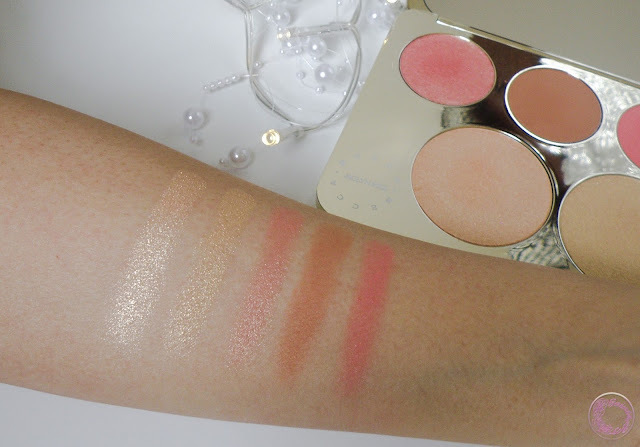 The blushes are not very unique shades but Becca is a name of quality. And this palette didn't disappoint as well. i haven't heard of this brand before, seems like it's a very popular high end brand? the palette sure looks pretty but i do agree that the pan placement feels off. This palette is so tempting and I'm contemplating so hard getting it or not as I have the champagne pop already 😬 Can't wait to see it in person in this coming 22th when they launch here in SephoraMY!